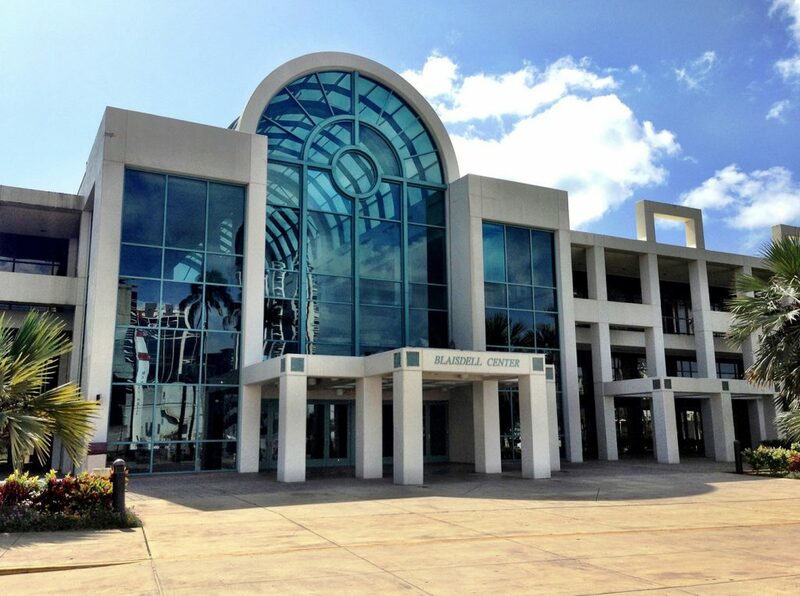 The Carla Coray Galleria, named for a past Director of Auditoriums, is the formal entrance leading to the Exhibition Hall. This dramatic high vaulted glass enclosure captures outdoor light and serves as a gateway to trade and consumer shows held in the Exhibition Hall. To one side of the Galleria is the Pikake Room, a small theater, and on the other side, the Hawaii Suite. The upper level of the Galleria is accessible by a glass elevator and formal grand staircase. During the day sunlight filters through the azure blue windows. At night a panoramic view of the Honolulu city lights makes this venue ideal for weddings, receptions and cocktail parties.